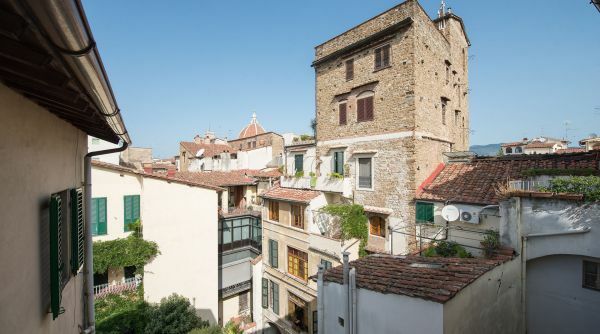 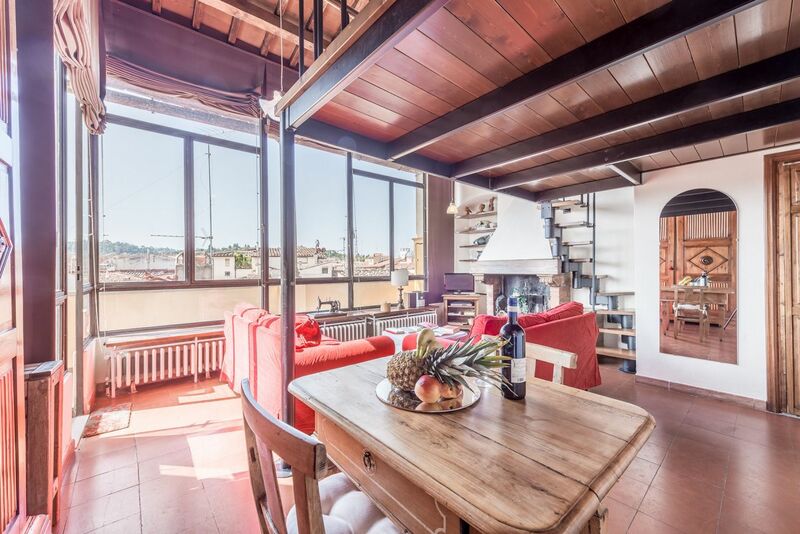 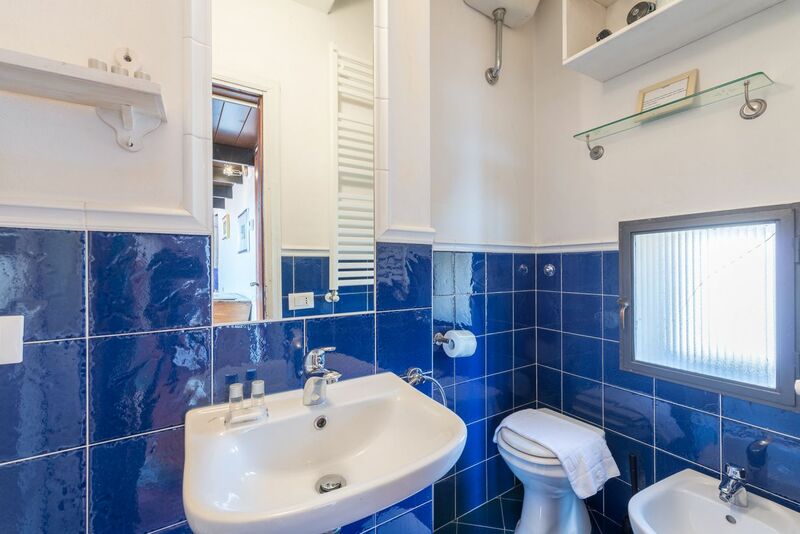 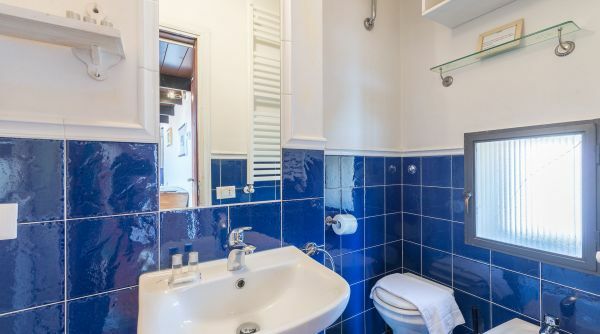 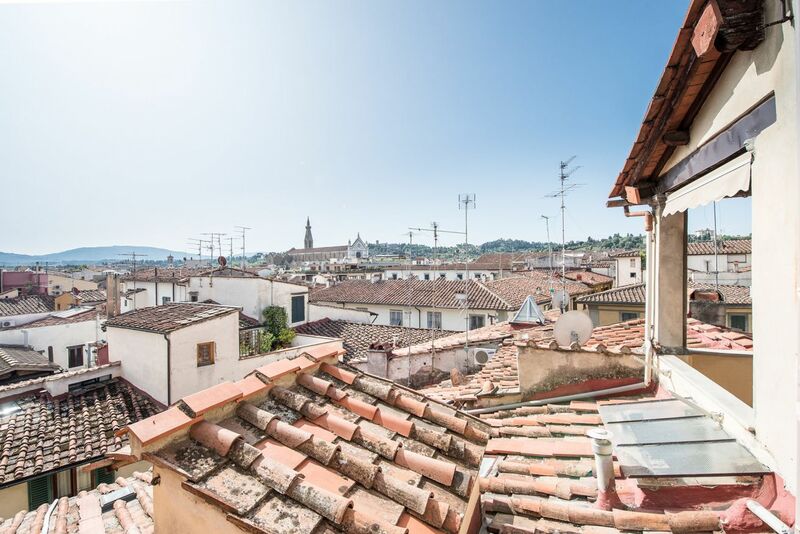 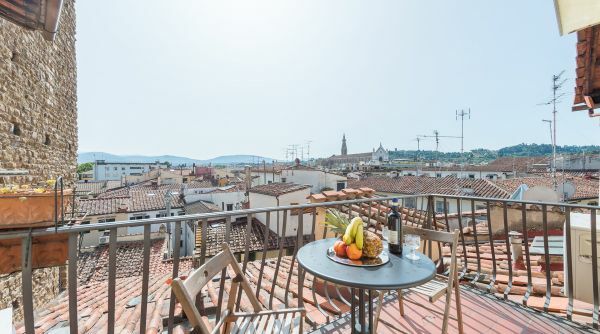 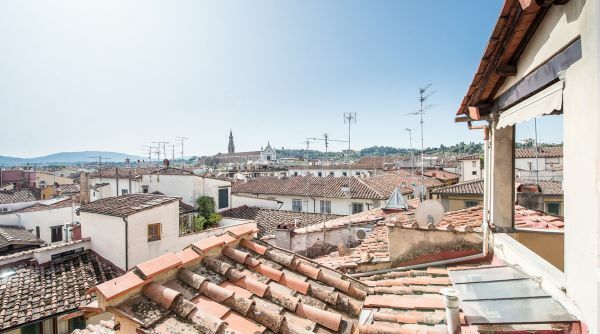 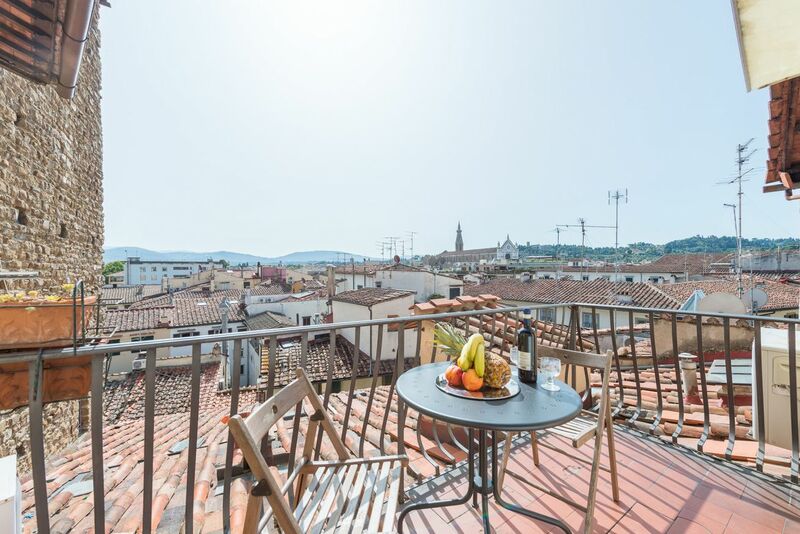 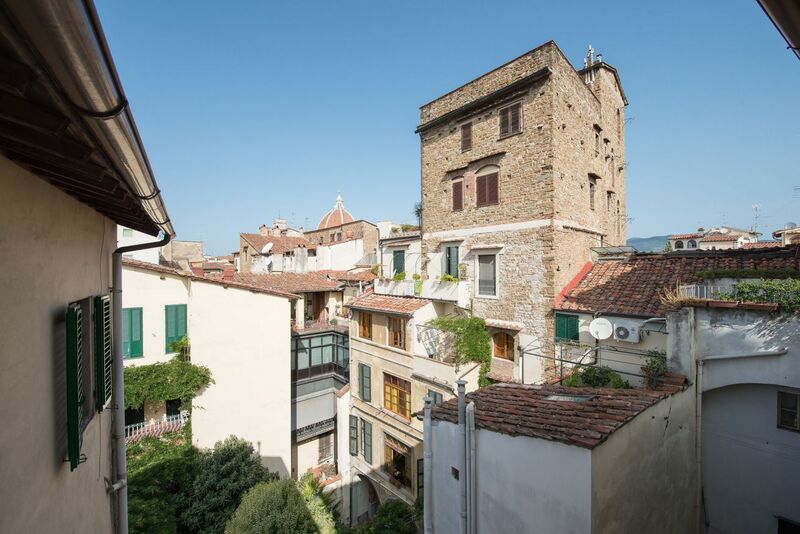 Delightful apartment with terrance and panoramic view into the heart of Florence just few steps to piazza Santa Croce. 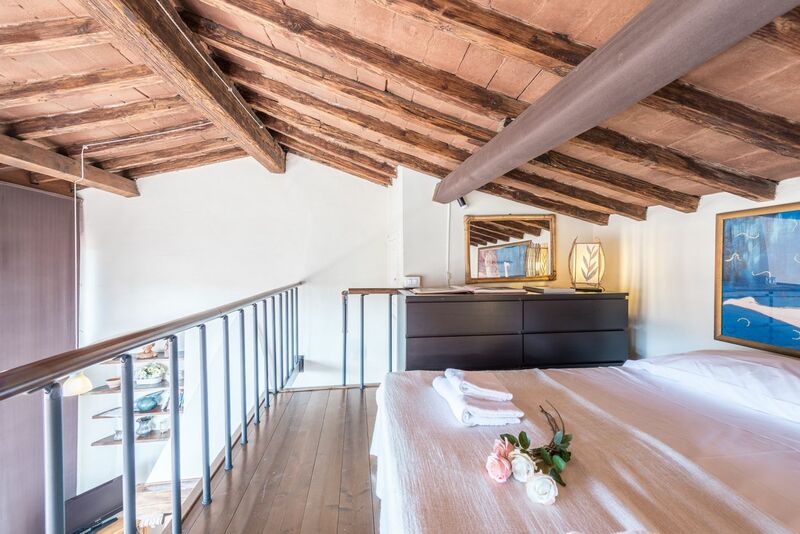 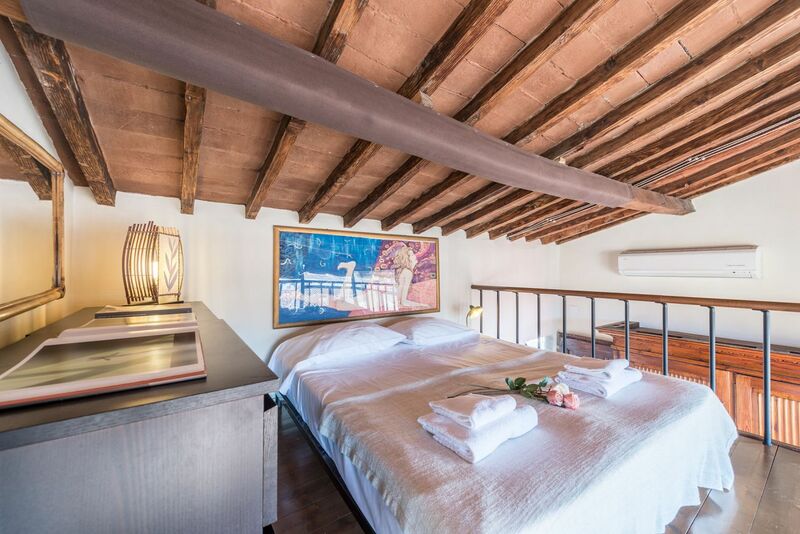 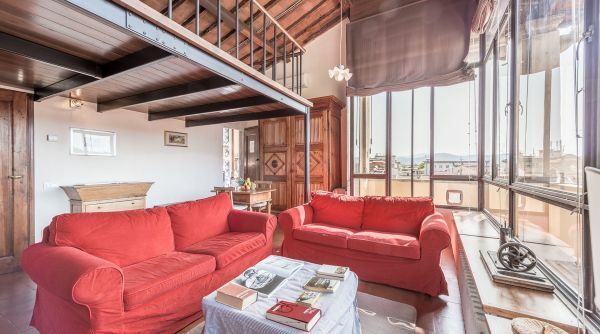 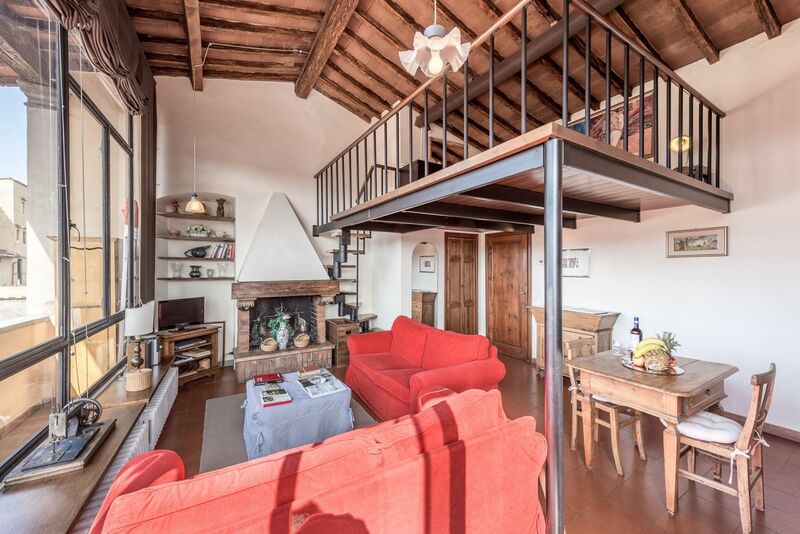 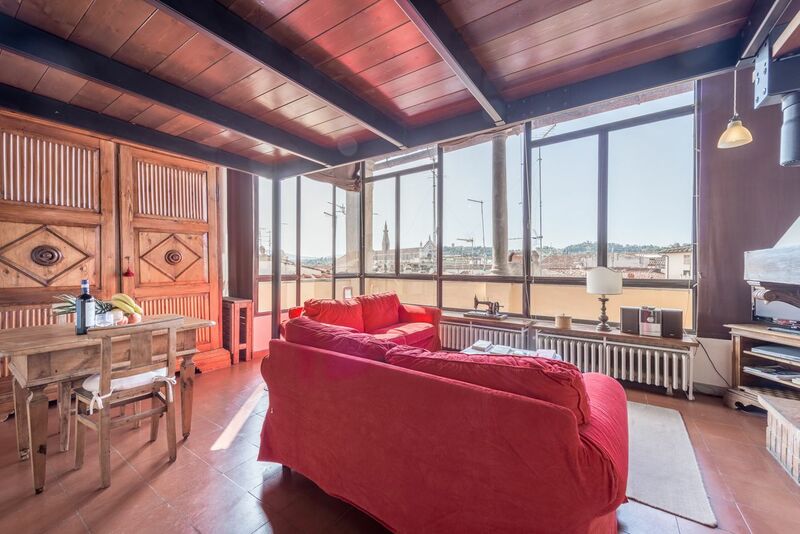 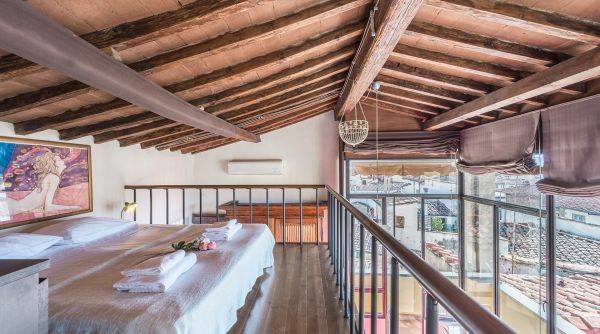 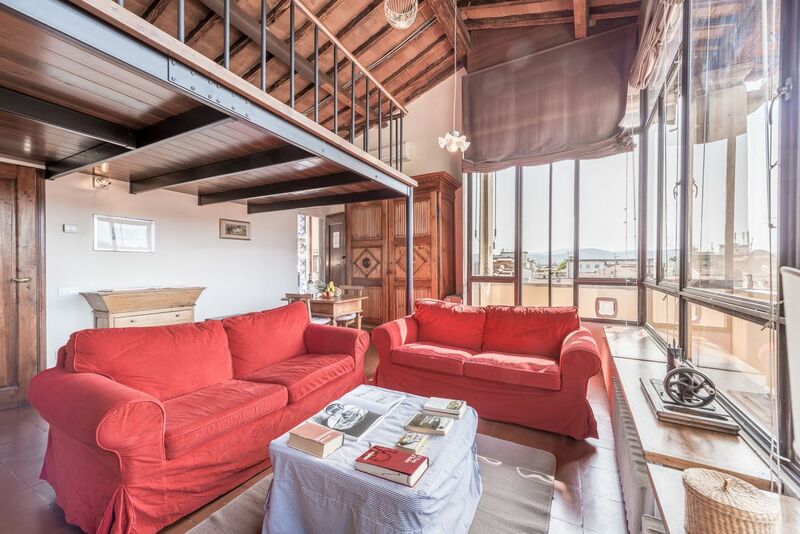 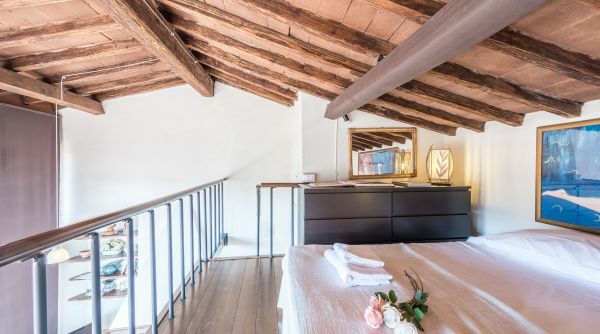 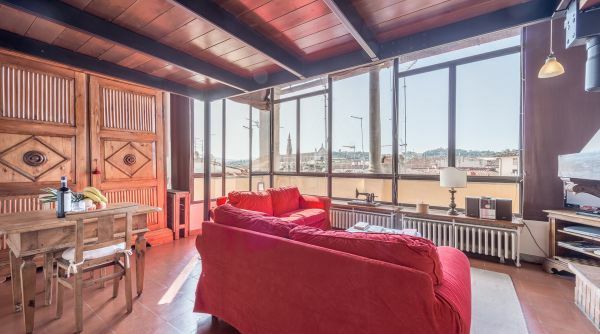 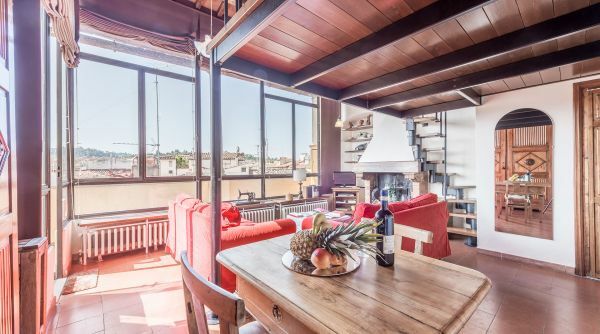 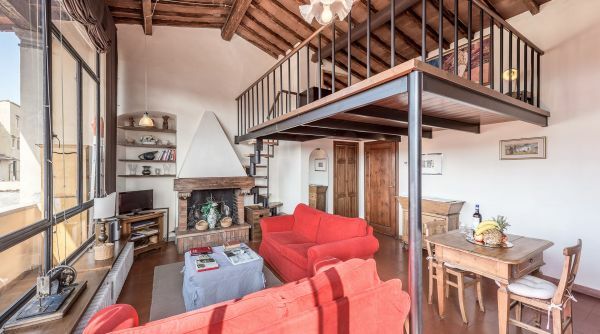 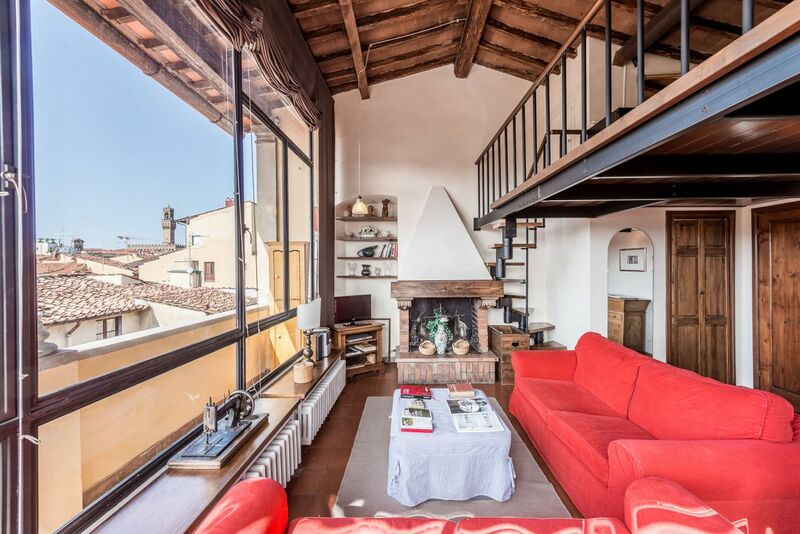 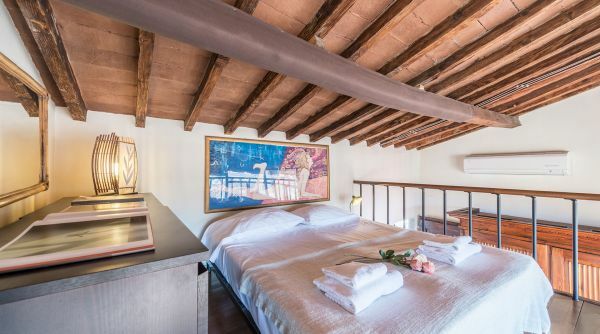 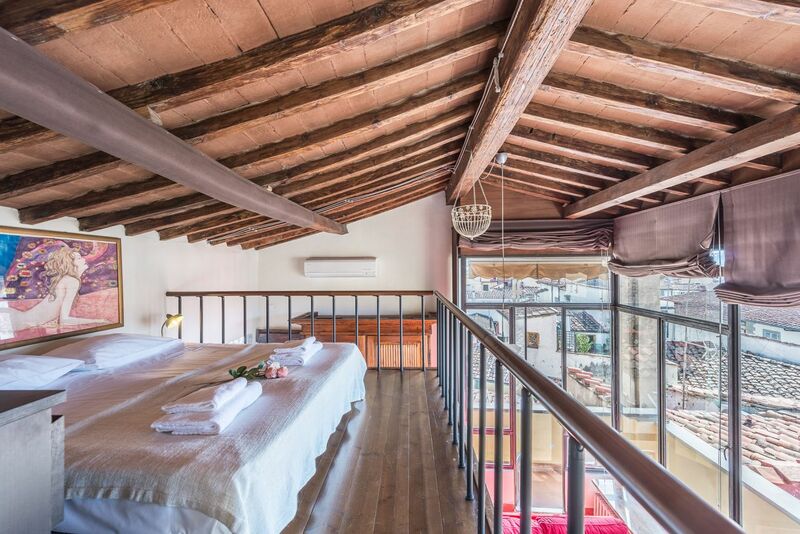 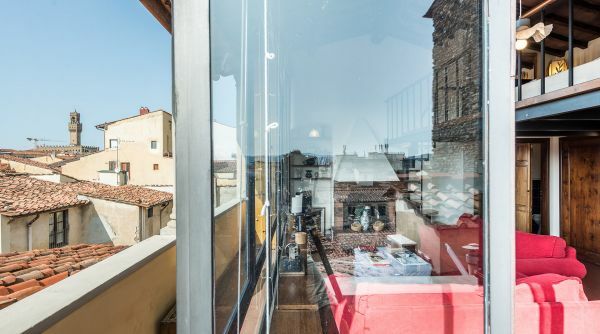 The main ambient of this house is a beautiful and very bright living room with two sofa and television, from where you can gat to the mezzanine where is the king bed and to the terrace with the panoramic view on the roofs of Florence till the facade of the marvelous Cathedral of Santa Croce. 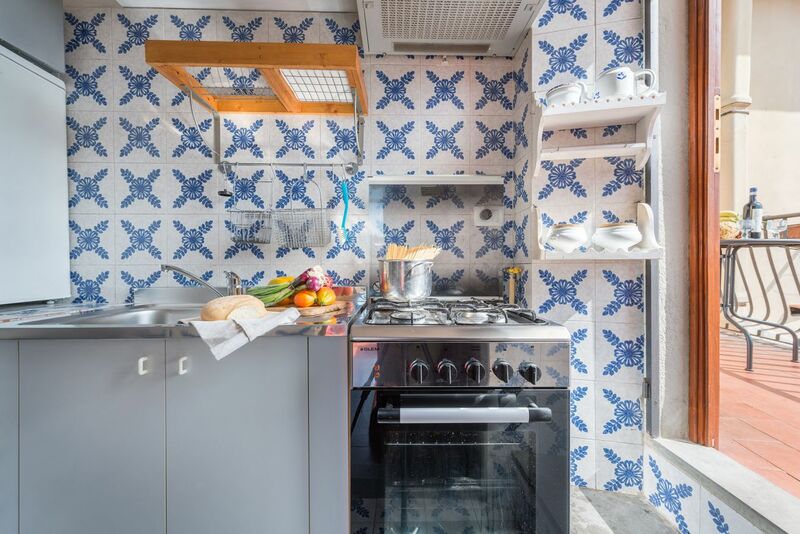 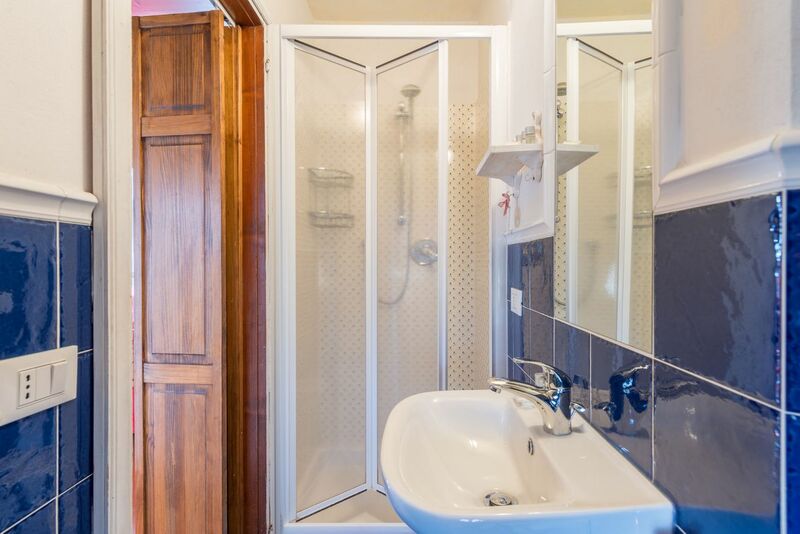 The interiors of the House are completed from the kitchen and bathroom with shower. 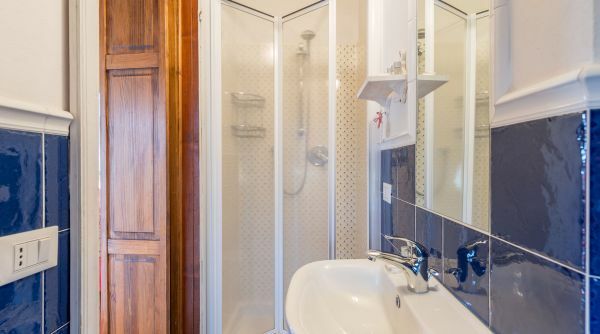 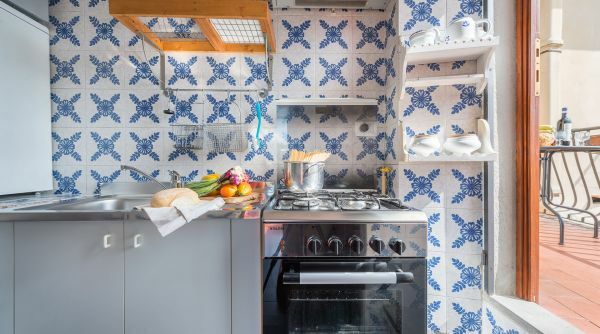 Ideal for a couple, whether for a romantic weekend and for a longer stay, the house is equipped with air conditioning, internet access with Wi-Fi and independent heating. 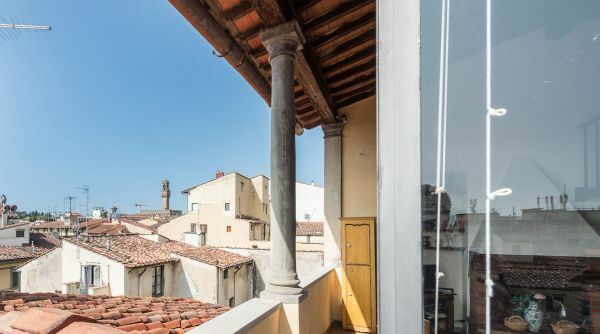 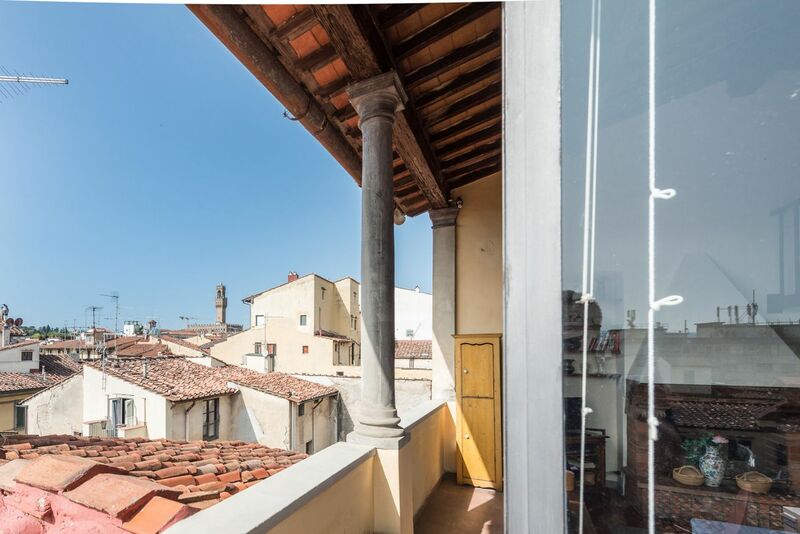 Our Loggia Panoramica is into the neighborhood of Santa Croce very close to the square and the Cathedral of Santa Croce and also to the Duomo and Piazza della Signoria. 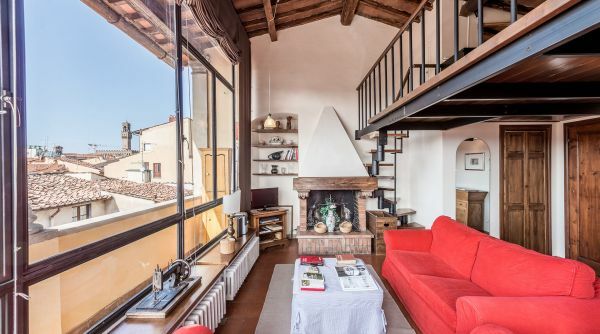 An ideal position to explore by foot the historical city centre of Florence and visit all the monuments and the museums in town. 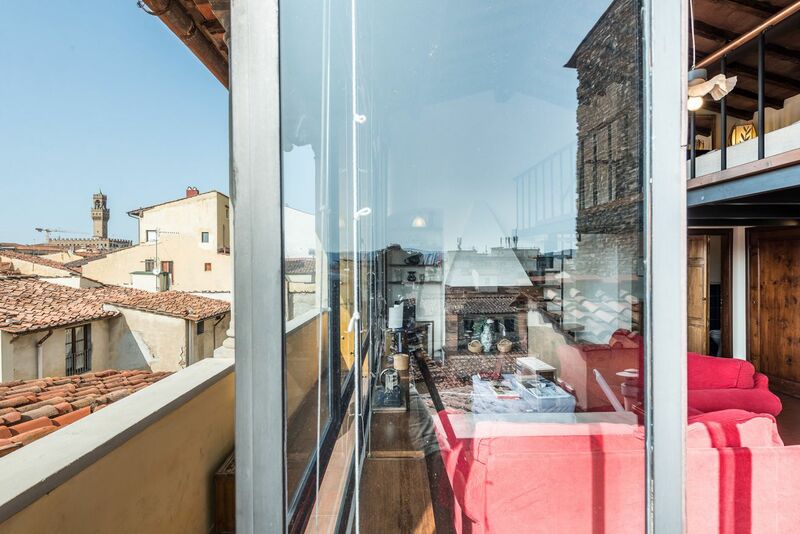 The area arond the house is full of bars, clubs and restourants of any kind, so is very interesting for nightlife lovers.